Prominent & Leading Manufacturer and Trader from Delhi, we offer Glow Signs. 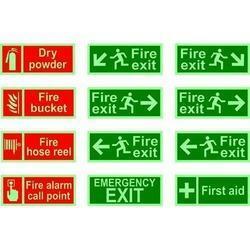 We are most prestigious company for offering the Glow Exit Signs. Glow Exit Signs the we supply as prohibitory and mandatory signage as per the requirement of the customer for size, design. 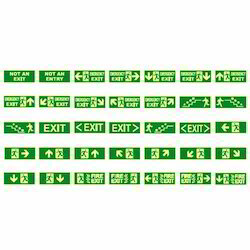 This exit signage is designed using quality proven indispensable material. Our clients can buy these products in plentiful sizes in agreement with client’s necessities. We are considered to be one of the leading manufacturers and traders of this highly commendable Glow Sign in the market. Manufactured using the finest raw materials and modern machines, in compliance with the industry set norms, its quality never deteriorates. Further, its sturdiness, durability, and resistance to corrosion, make the product highly asked for in the market.